Now that the 2014 Dumbo Double Dare training plan has started, I’ve spent quite a bit of time thinking about the future. 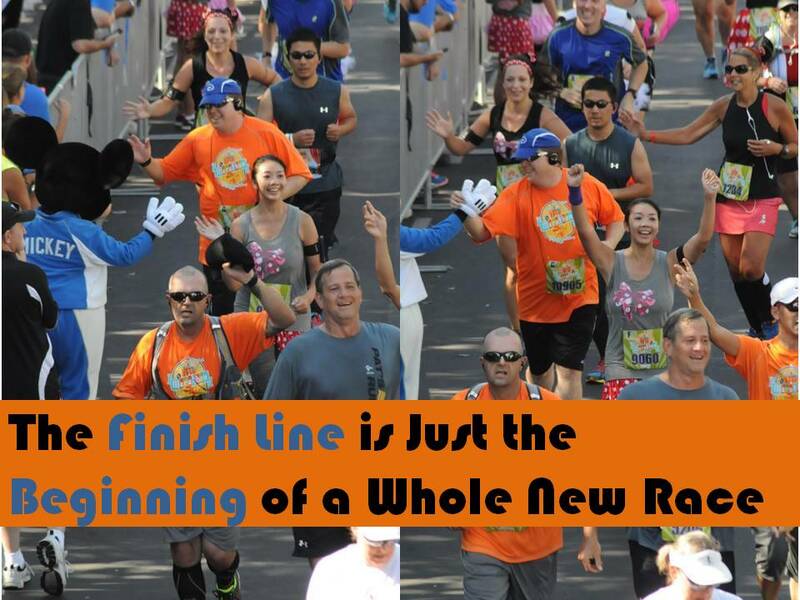 After the OC Half Marathon this Sunday, I will have a lot of time between races. Thank God I’ve got the Galloway designed training plan to get me through the summer! So, after the Dumbo Double Dare, I’ve got more races after that. Following the Walt Disney World Marathon, this year, I’ve felt a bit lost on the training front. I’ve been very unsure of what I should be doing with so many races on the calendar. 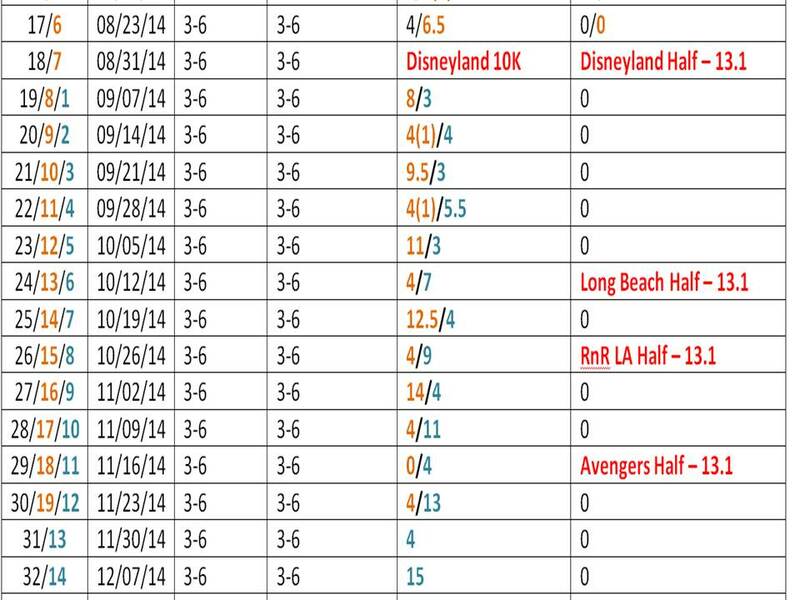 I mean, the Disneyland Half Marathon training plan is 19 weeks (including the week after the race). So, that’s fine if you have those weeks to train. 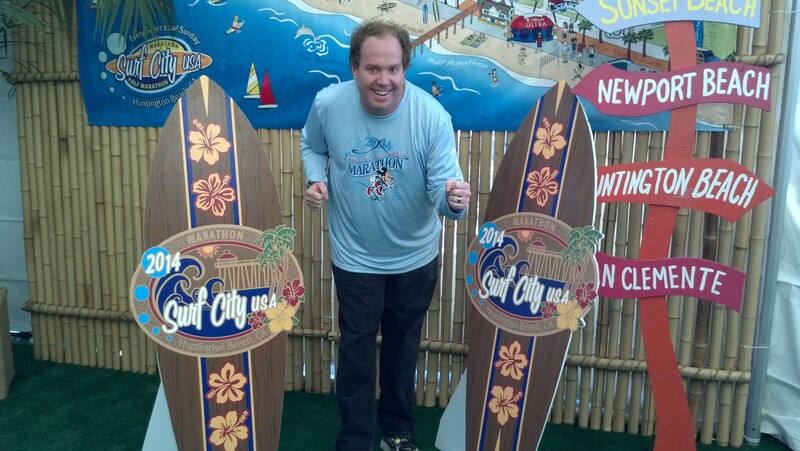 However, I had 3 weeks between the Walt Disney World Marathon and the Surf City USA Half Marathon. 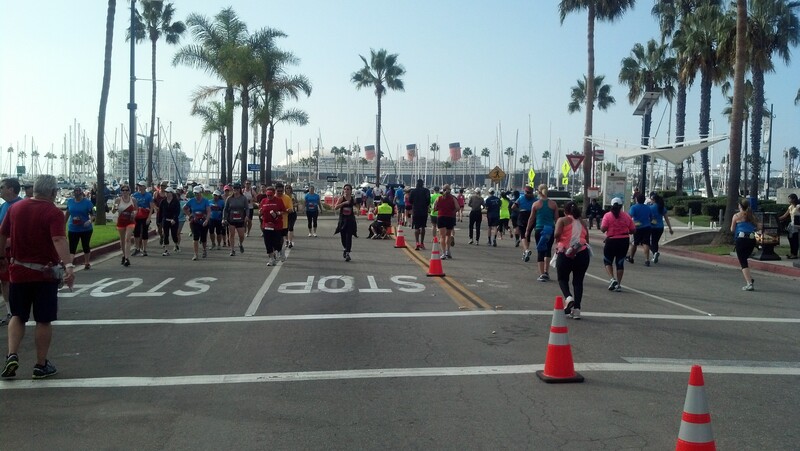 Then, 7 weeks between the Surf City USA Half Marathon and the Hollywood Half Marathon. I’ve followed that up with 4 weeks between the Hollywood Half Marathon and the OC Half Marathon. So, how do you plan your training in that situation? Well, I failed at that. Part of the failure was due to illness and part of it was that uncertainty. So, when I looked at the Dumbo Double Dare training program I knew that the first week of that program would have to be slightly be altered because, according to the plan, I should only be running 3 miles this weekend. I have a half marathon to run instead. So, I’ll be putting in more miles this week than what is scheduled. I learned last year that’s okay. 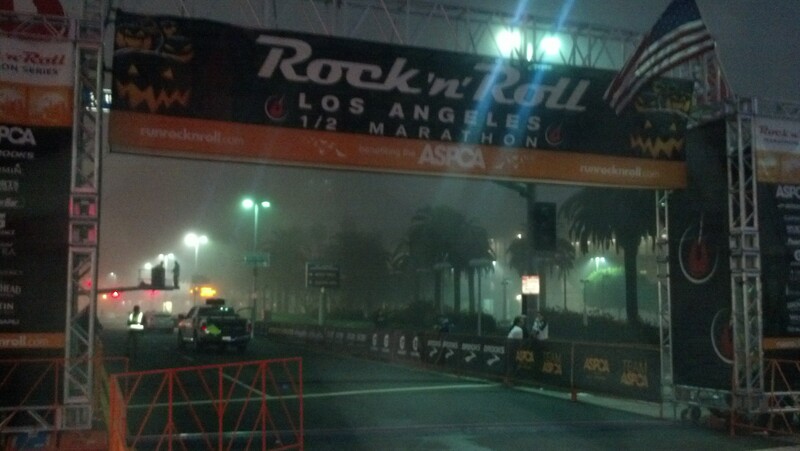 The Rock n Roll Los Angeles Half Marathon…. And the Surf City USA Half Marathon or Marathon. 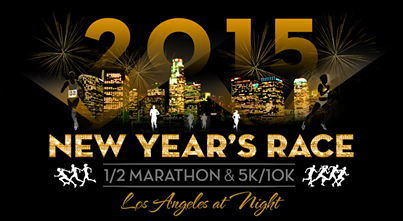 All of these races before the goal race of running the 30th Annual Los Angeles Marathon on March 15, 2015. So, how on earth can I plan so far in advanced? It all starts with the Dumbo Double Dare training program. With only the first week needing any real alterations, this is a good place to start. So, starting next week (week 2), I’ll be trying my best to keep to this plan. With the Avengers Super Heroes Half Marathon also happening at Disneyland, I’ve decided that (depending on the weather), the Disneyland Half Marathon is a race I’m going to target for a good finish time. When I get closer to the race, I’ll have a better understanding of whether this will be a PR attempt or a Disney PR attempt. Either way, I want to best my previous runDisney half marathon PR set at the Disneyland Half Marathon last year. Once the Disneyland Half Marathon is finished, I had to find a way to bridge the gap between that race and the Los Angeles Marathon. So, I started by looking at the training plan for the Avengers Super Heroes Half Marathon to see how the weekend long runs lined up with the rest of the races I had for the rest of the year. As you can see with the first 15 weeks, the first overlap of schedules happens. 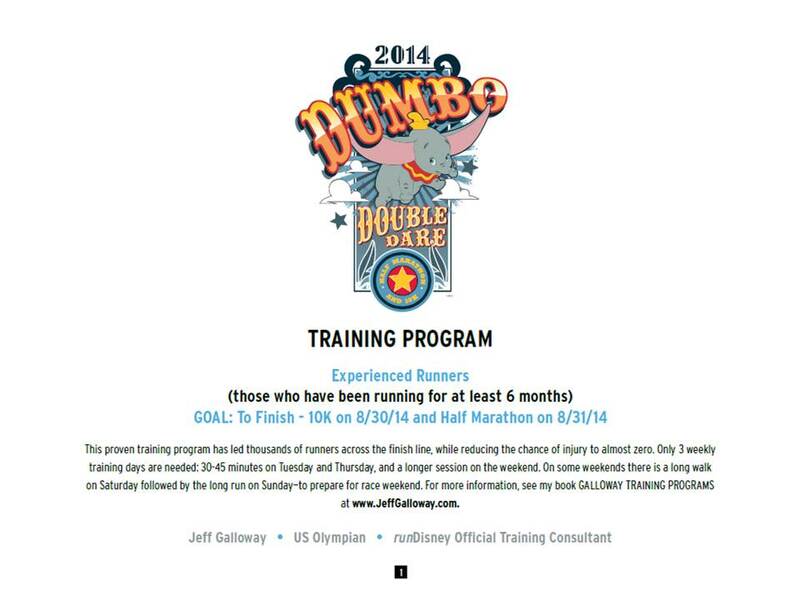 The Avengers Super Heroes Half Marathon training plan starts on week 12 of the Dumbo Double Dare training plan. Then, the next overlap happens in Week 19 of the Dumbo Double Dare plan, or Week 8 of the Avengers Super Heroes Half Marathon plan. That’s when the marathon training pans starts. Since week 19 of the Dumbo Double Dare plan is more like a rest kind of week, I didn’t include it in the consideration for the training plan I would come up with for the Los Angeles Marathon. This is how it all rounds out. 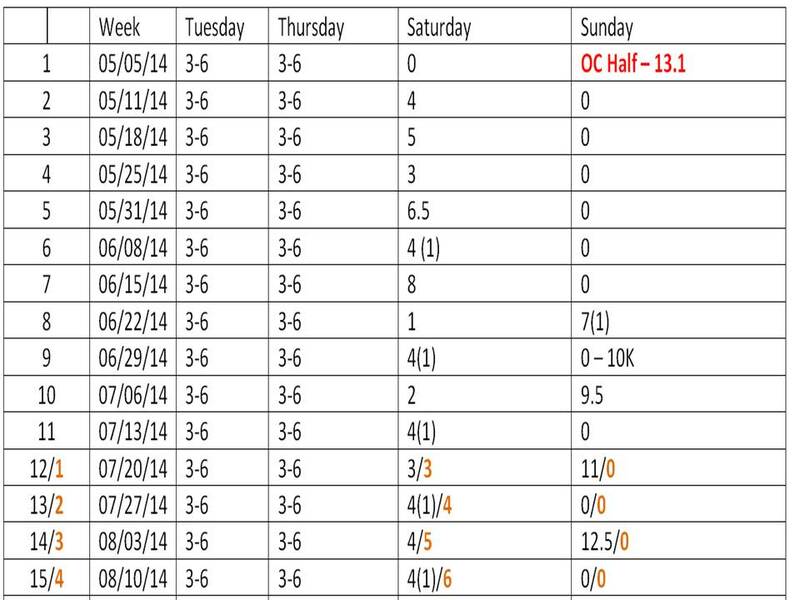 By week 31, we’re down to just the marathon plan. The races mentioned in red are the ones I’m either registered for or will certainly register for in the future. The races in black are races I’m considering but haven’t completely made up my mind about. In the training plan tab, you will find the finished product. However, I wanted to take this post to give you insight into how I came up with that plan. Last year, in week 9 of the Dumbo Double Dare plan, I was able to run the Pasadena 10K and it worked out pretty good for me. So, I’m mulling over 10K options around that week again. Well, I’m going to follow the Dumbo Double Dare plan as is from week 2 until the Dumbo Double Dare happens. Then, I’ll come into the Avengers Super Heroes Half Marathon plan where it is at that point (week 8). I’ll follow that plan until the Avengers Super Heroes Half Marathon. 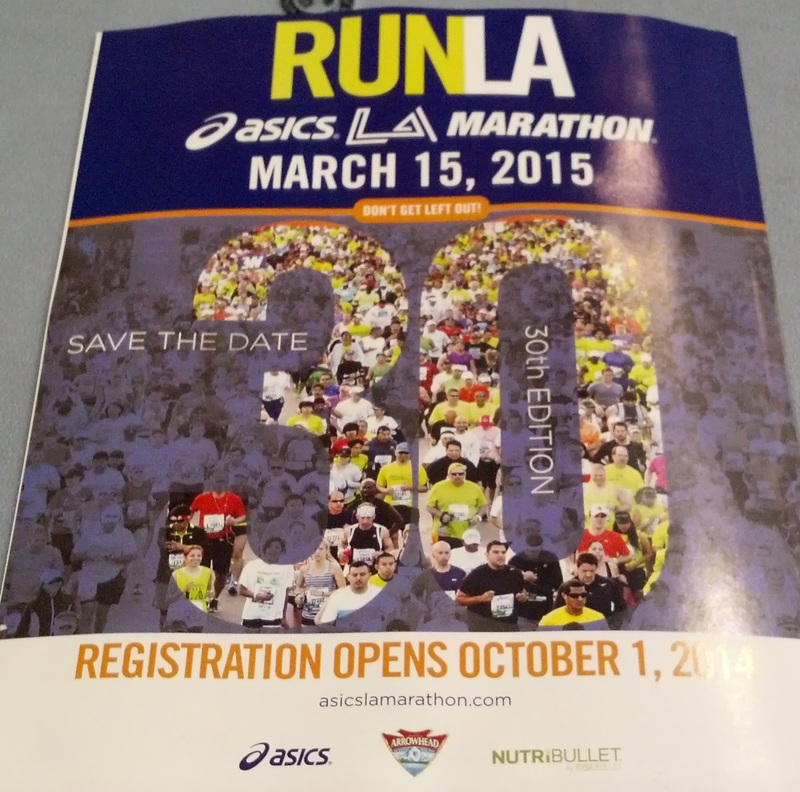 From there, I’ll jump into the Marathon training plan until the Los Angeles Marathon is over. I’ve decided to make the Rock n Roll Los Angeles Half Marathon a PR attempt. At that race last year is where I set my current PR in the Half Marathon distance. So, it would be great to repeat that again this year. Plus, by that point, my mileage will be rather high and I should be in good shape to think about a sub 2 hour 30 minute half marathon. 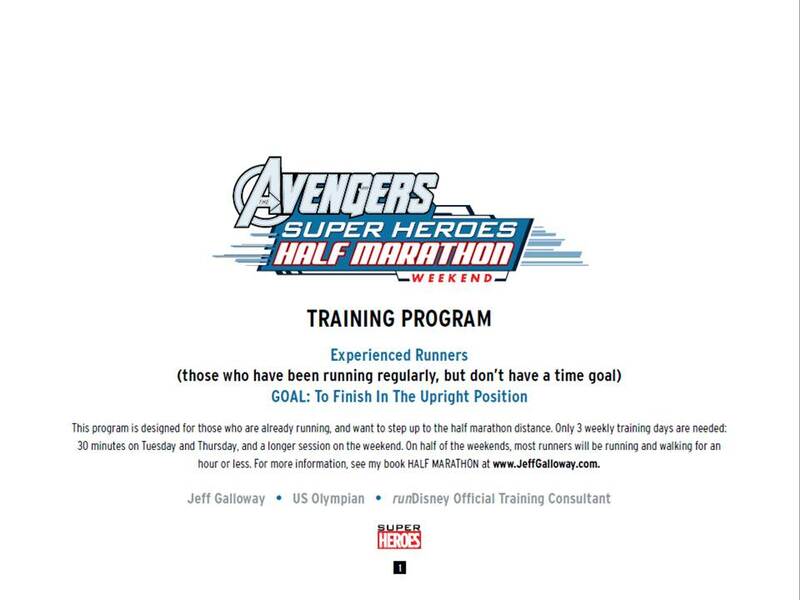 If I can’t reach that 2 hour 30 minute goal by then, I still have the Avengers Super Heroes Half Marathon to make that attempt. Although, I would love to have the Avengers half be one for fun. 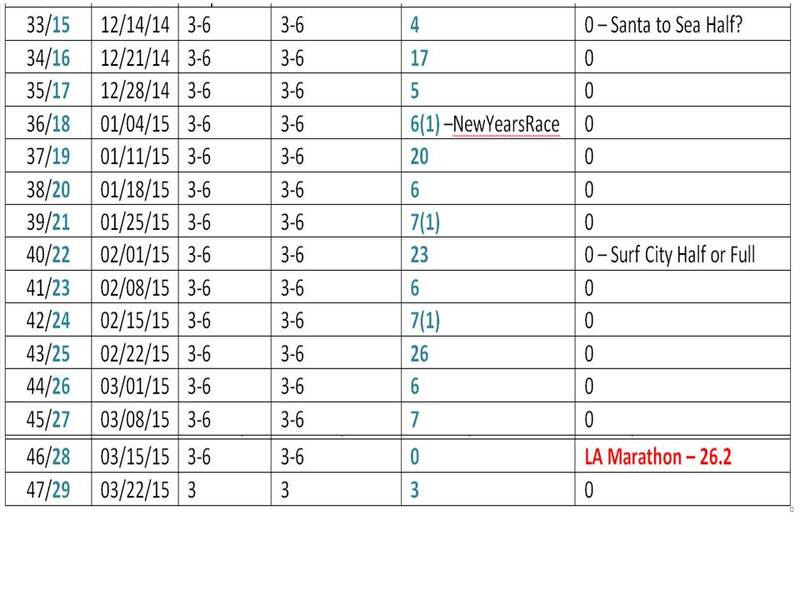 The Santa to the Sea Half Marathon in December is the most iffy race I’ve listed. When I was training for the Walt Disney World Marathon last year, the Rock n Roll Los Angeles Half Marathon landed on that week of the training plan and I PR’d the race. However, the Santa to the Sea Half Marathon also falls one week after the Disneyland Candlelight Processional (which I plan on singing in again). So, it might be wise to just skip it. Also, I’m going back and forth on whether to sign up for the Surf City USA Marathon or Half Marathon. When you look at the miles I’m supposed to do that week, doing the full might make some sense. I could use the first 23 miles as training and take it easy for the last 3.2 miles. Or, I could push the 23 mile long run up or back one week. I’ve still got some time to make up my mind. As you read this, keep in mind that I am not a trainer and my thoughts and opinions come from someone who is still learning. I just thought it might be interesting to record how I came up with the plan I’m aiming to follow. As I look at the calendar, the months of October and November cause me the most anxiety as they will be very high mileage. However, if I take the Long Beach Half Marathon and the Avengers Super Heroes Half Marathon as training kind of runs, it should be okay. Thanks! I usually run outside. However, if the weather decides that I need to run on a treadmill, I’ll do that. However, I prefer running outside. I’ve learned that I don’t like running more than 5 miles on a treadmill. Good luck in your training for Disneyland! The Disneyland Half Marathon is a really fun course. I’m hopeful that it’s not as hot as last year. Wow, I’m really impressed by how well thought out this all is! I can’t wait to hear how all your races turn out! Thanks! I was hoping that this post would helpful for fellow newbie runners out there. 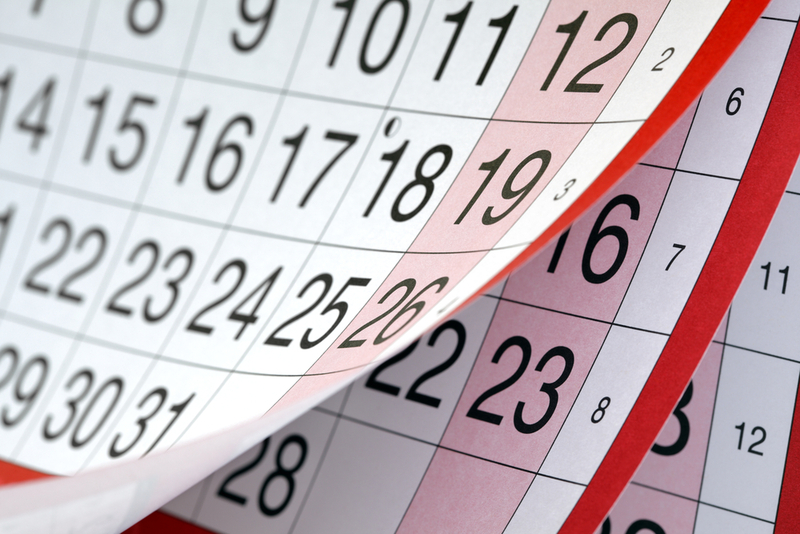 It’s one thing to see someone’s training schedule and another to know why it is the way it is. So, I hope that, in sharing the method to my madness, others might benefit. I’m not a running coach. So, I’m sure there are better ways of setting up training. However, this is what works for me. Great post! I plan my training the same way! start one plan and then pick up where I can. my training is a really wonky because im doing wine and dine back to back I’m just going to train for wine and dine and pick up with Dopey after Avengers. 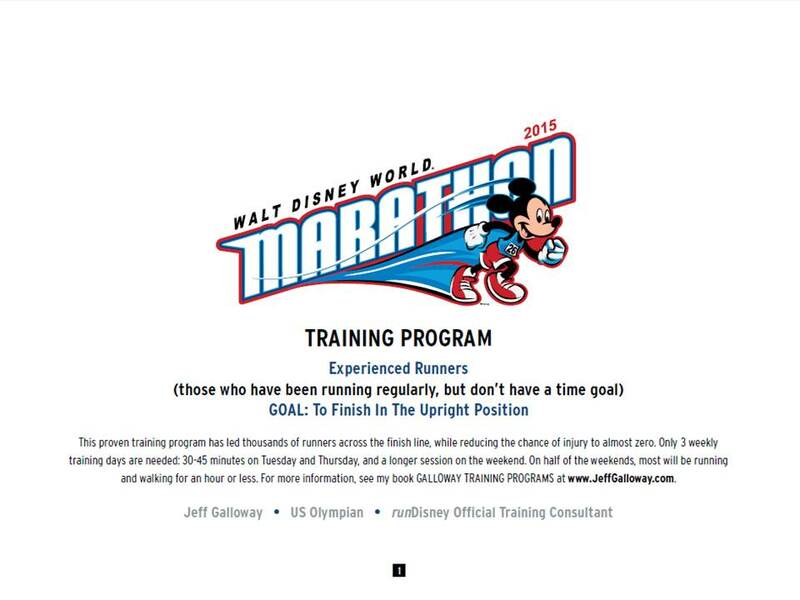 and for the LA marathon last year I used the galloway wdw plan too! it worked really well! Good to know that I’m not alone in how I plan my training! 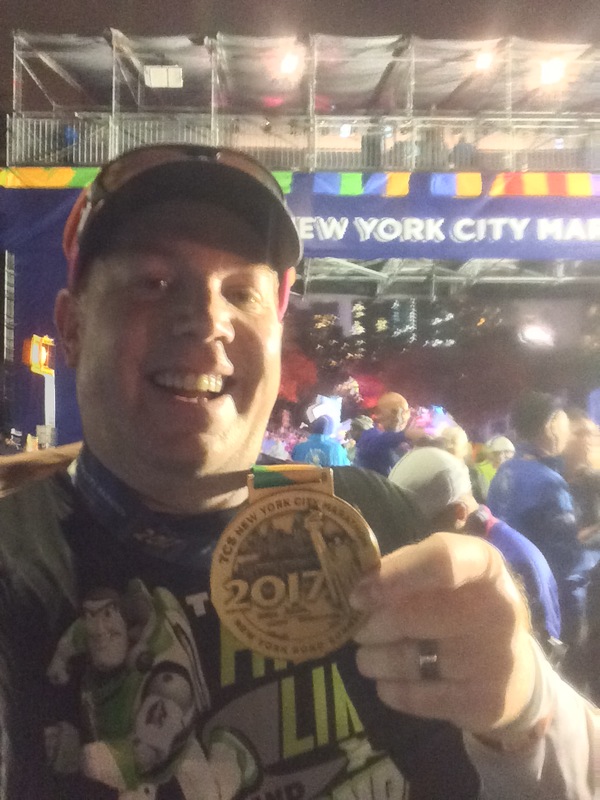 Last year, I wasn’t sure how it would work out picking up the WDW Marathon training several weeks into the program. However, Jeff Galloway told me at the Disneyland Half Marathon Expo that I’d be fine and it proved to be true. I hope everything works out well for you in doing the Wine and Dine Half Marathon and Avengers Super Heroes Half Marathon on back to back weekends! A blogger I follow ran the Boston Marathon a few weeks ago. Then, followed that with running the Big Sur Marathon last Sunday. This Sunday, he’s running the OC Marathon. Another blogger I follow ran the Rock n Roll San Antonio Marathon in the morning and the Rock n Roll Las Vegas Half Marathon in the evening of the same day! So, crazy things like that can be done.